It may not be fashionable, and certainly far from hip, but I absolutely love Rosemary Clooney. Her voice is so unpretentious and clear. There is no overlay of sentimentality and she never milked a song for emotional impact. 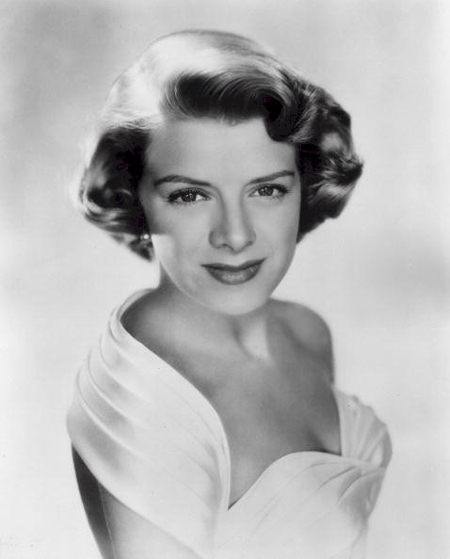 Rosemary Clooney seems like a fish out water in many of her movies. It’s not that she isn’t good, she’s just real. In White Christmas, everyone else, Bing Crosby, Danny Kaye, appears to be in a heightened state of slickness and artifice. But, Rosemary Clooney plays it directly and authentically. Her life was an amazing tale of poverty and abandonment, success and fame, a crashing career, and remarkable comeback. Somehow the fact that she had a breakdown after being several feet from Bobby Kennedy when he was shot at the Ambassador Hotel, reminds me that she was an actual human being. This seems like an appropriate response in this instance. Throughout everything she never took the role of a victim, she just kept punching. Her music is about this. Her last concert before her death was two weeks after September 11, 2001, the last song she sang that evening was God Bless America.